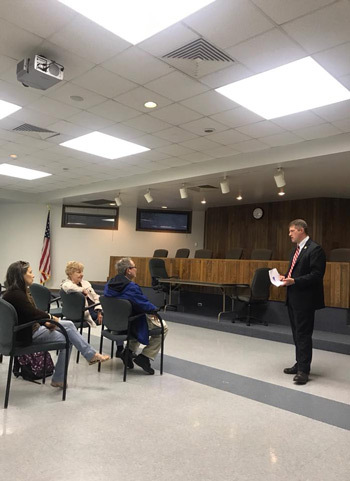 Thank you to everyone who came out to my town hall meeting last Thursday at the North Strabane Township Building. My last town hall for the fall is scheduled for Thursday, Oct. 18, at 6:30 p.m., in the Canonsburg Borough Building, 68 E. Pike St., Canonsburg. I hope to see you there. Act 77 of 2018 increased initial and annual training hours for Humane Society police officers, and requires the training to include the proper procedure to file citations and warrants, including when and how to contact other law enforcement. Other provisions of the new law require training in farm operations and biosecurity, including at least one on-site visit to a working commercial farm operation. Any organization that employs Humane Society police officers will be subject to the state’s Right-to-Know Law. For additional information about Fire Prevention Week and home escape planning, visit firepreventionweek.org.